To start off, we feel the answer to this is both yes and no. It depends which beer, from which brewery. 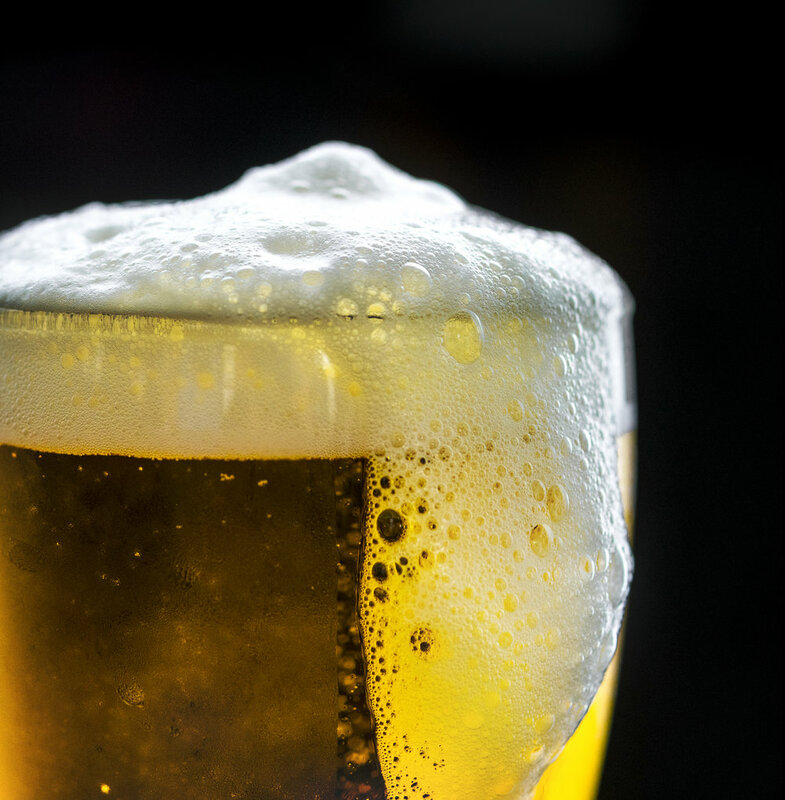 Location, ABV, ingredients, quality, personal preference, and honesty as well as global and local economics all play a role in defining beer price. All breweries are equal, but are some more equal than others? 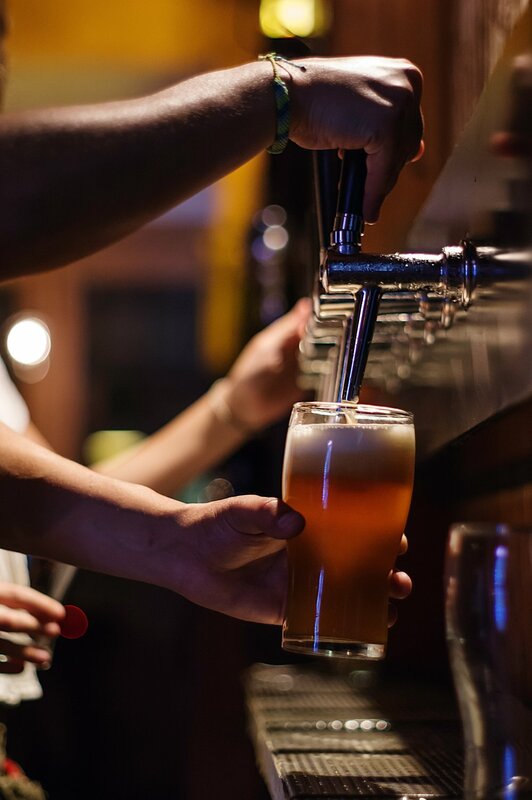 Beer duty is set by the UK government in brackets for all beer, so higher ABV beers will cost more due to the tax imposed on them. To make beer requires ingredients which can vary wildly in cost with demand, beer style trends, economies of scale of both suppliers and buyers, weather all playing a role. A higher quality beer will use higher quality ingredients, which of course will demand a higher price. Where these ingredients are sourced from will affect the cost, usually in a linear “further away more expensive” fashion due to transport costs, although for large breweries the economies of scale can sometimes influence that relationship, causing malt or hops to be cheaper to buy in larger quantities from far-flung locations rather than smaller amounts locally. Many beer ingredients, hops in particular, are sourced from all over the globe according to what beer styles are being produced, as different varieties of hops are suited to different climates and soil types. The effect of economies of scale is seen amongst competitor breweries as well, where bigger breweries with huge outgoings are able to undercut smaller ones who aren’t shifting as much. This is because it is more expensive and takes longer for a small brewery, using smaller kit, to produce the same amount of beer as a large brewery, as well as other factors like bulk ordering. Of course the good thing for the little guys is as production grows, quality becomes much harder to control and is sometimes even intentionally neglected in favour of more cost effective methods of production - such as using cheaper, lower quality ingredients or using adjuncts to replace more expensive malt which has an effect on the quality of the beer, but not always the popularity. A reason for this could well be our addiction to super chilled c02 saturated beverages, both the chill and the bubbles numb the taste buds making it harder to taste what you’re drinking and C02 has a very unique coppery taste which is easily identifiable in most beers. Try any drink sold as fizzy when it’s flat and you’ll see what we mean. For good quality beer, it shouldn't make much of a difference, so long as the beer is kept at a reasonable 6-8 degrees C. Taste changes with temperature… who knew? This can affect a person's preference for a certain beer, not to be confused with quality which is a measure of the standard of a beer against similar types. At the end of the day it is the people who rule. So why is it still £6 for a pint in some places? Because people are willing to pay for it. This is where point of sale also weighs in. It's important to note that each establishment selling beer has its own costs, and as a result each needs a different margin. Some pubs are dictated as to what their margin will be, like group managed pubs. Others are a bit looser and the managers dictate the margin they need. The difference in these margins by far holds a bigger variation than the cost of the beer between breweries, who must all compete in the same marketplace. Beer with better marketing will sell at a higher price. Good marketing increases popularity which ultimately means more money coming in to the brewery coffers – hence marketing being so gosh darn expensive. Ultimately the customer perception of a given beer is what drives the success of the brewery, although there is no guarantee that the steps taken to improve this perception will pay off. This is why there is a notable difference between breweries marketing, with some pulling out all the stops to sell their brand and others who don’t shout so much about it. This is usually a financial decision, as the return on marketing campaigns is usually a slow burn needing a lot of up front capital to gradually increase sales, which many smaller independent breweries simply don’t have. Moral of the story? It all comes down to trust. If you care about what you drink, you should care about where it comes from and if you can trust the brewery, you can trust the brew. Hype trains aside, the old saying holds true: you get what you pay for.